How Do I Change The Car Battery In My Vehicle? Even with all of the advances so far in technology, there are currently no car batteries that are capable of lasting forever. Little things to pay attention to are the dimming of your headlights, how old the battery in your vehicle is, and whether or not your vehicle has needed a jump-start. If these apply to your vehicle, then maybe it's time to get a new battery. Ideally, you should bring your vehicle to a trusted and experienced vehicle precision service mechanic, but if the situation calls for you to change the battery in your vehicle yourself, here are some rules that you should follow. Changing a battery is quick and easy, and it can also generally be done with only the minimum amount of tool. The most important thing to do before you begin is to make sure that the battery needs to be replaced. Look for a blue or whitish residue build-up around the terminal - removing this residue can sometimes solve common issues. Note: Do not touch the residue powder with your hands since it can often contains the dried form of sulfuric acid, which is extremely corrosive to skin. Take a look at the alternator. If your vehicle model also has a battery meter, while the engine is running the charge maintained by the alternator should be about 13.8 - 14.2 volts if the system is functioning properly. With the engine turned off and no accessory load, the battery should be showing a charge of about 12.4 - 12.8. So if you do need to replace the battery in your vehicle, it is essential that you choose the correct one for the vehicle. Some retailers will require that a "core" charge is paid if you do not bring the old battery in with you. Park on a level, flat surface that is a safe distance from open flames or traffic sparks. Engage the parking brake. Properly outfit yourself with gloves and also safety goggles. Unplug the cigarette lighter and plug the memory keeper back in. If you have misplaced the memory keeper, take note of all the electronic PIN's that may be affected. Find the location of the battery on your vehicle. It will be on either side of the frame and is shaped like a rectangle with two cables that are attached to it. Find the battery terminals. The terminal with a plus + sign is the positive terminal, and the terminal with the negative - sign is the negative terminal. Disconnect the negative terminal in your vehicle. It will slide off easily if the negative clamp has been loosened with wrench. It is essential to disconnect the negative before the positive so that no short circuits occur. Pull out the old battery and put the new one in its place. Reconnect the terminals- positive first, then negative second. Firmly shut the hood and then start your vehicle. Properly dispose of the old battery according to the by-laws in Milton. 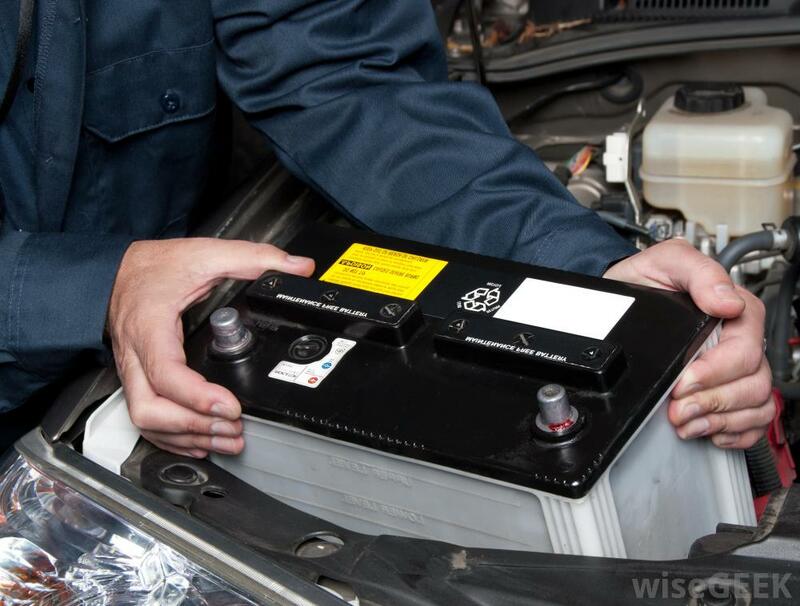 If you are not comfortable with the battery changing procedure and do not wish to do it yourself, call Gorruds Auto in Milton, Ontario, Canada and let our precision service staff take care of the problem for you.